Why the name Heart Bandits? Because given the smallest chance to do so, an Eskie will steal your heart! I know. I have been the mommy to an American Eskimo Dog. American Eskimo Dogs are bred to be companion dogs. They are happiest when they are with their family, and when treated as a family member. My Eskie followed me everywhere. I almost never put a lease on him. It wasn't necessary because he would not leave my side. Some people call Eskies "Velcro" dogs because they will follow you everywhere and stick to you like Velcro! The American Eskimo Dog breed was developed in the United States from the Spitzes of Northern Europe. They usually have distinctive black noses, lips and eyelids. As a Nordic-type dog, Eskies have a double coat, plume-like curled tail, and erect triangular ears. They are often mistaken as a small or mixed Samoyed." Do you share your life with Eskies? Should You Choose An American Eskimo Dog? The American Eskimo, the preferred nickname for the breed is "Eskie", is one of the most intelligent of all canine breeds. They are a challenging, mentally active, and delightful breed. 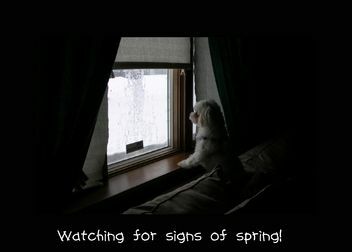 Eskies are intelligent, loving, and can be wonderful watchdogs. My Eskie was very protective of our family. He always kept himself between us and strangers ready to warn them not to come too close. Eskies are quick to alert the family of the arrival of strangers at their house. Not all Eskies are, but properly socialized they can be excellent with children. I would not bring an older Eskie into a home with children if the dog did not already like children. Eskies require human companionship and loving attention. They are not a dog to be ignored. Left alone too much they may become bored, destructive, and bark excessively. This is not a breed for someone with normal working hours where the dog is home alone for 8-10 hours. They require your time and daily activity. They are most happy in the lap or sitting close to their family. Eskies are a long lived breed, some living 18-20 years. So be sure that you are committed to care for your Eskie for a long time. 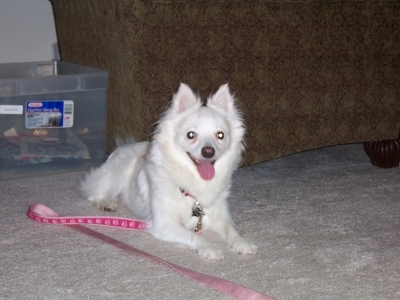 "The American Eskimo is a sensitive breed and requires early training and social skills along with a firm, fair parenting style without implementing harsh, old school training techniques. 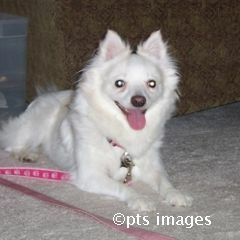 I find the American Eskimo to be a quick learner and enjoys learning obedience and tricks. The breed is not going to hand over compliance as they are a bit on the independent side so you will need to prove your parenting skills to this beautiful dog. If kept outdoors and the dog gets bored they tend to dig along with chewing whatever is close by. 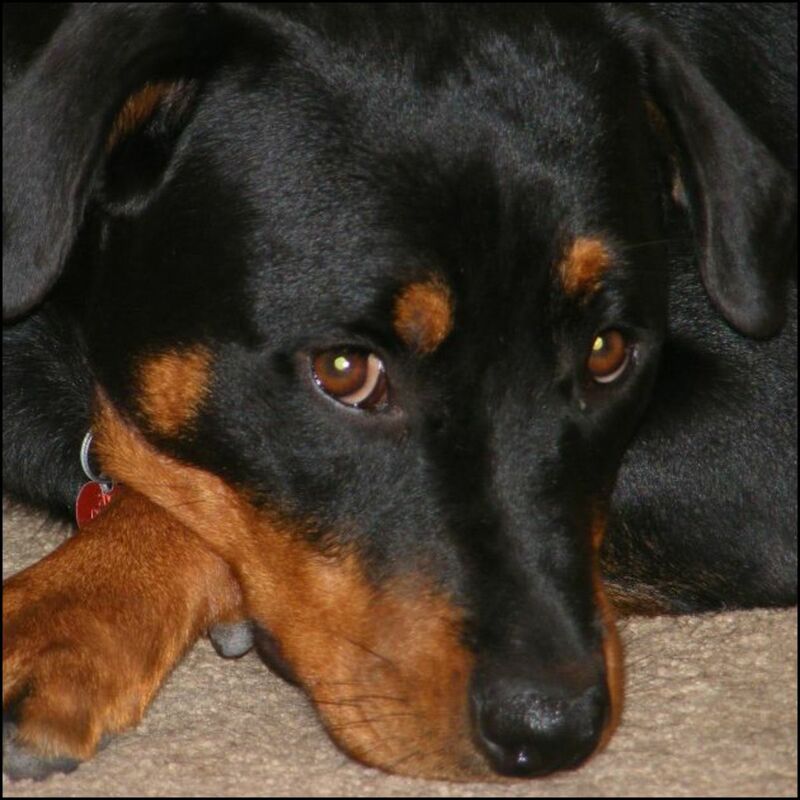 Boredom, isolation or nervousness can create a vocal, unstable dog. So, exercise, training and companionship is a must. They need to run in addition to daily walks. " The Eskie coat naturally repels dirt and odor. I rarely had to give my Eskie a bath. Eskies are very smart and trainable. If you want to bring an Eskie into your home, you must be willing to spend time in training. They are sometimes called a "dominant" type of dog -- that means they NEED TRAINING! If they aren't told that you are the boss, they will try to take over the household! If you decide to add an Eskie to your family, you must be prepared for puppy classes and dog obedience classes. Willful and obstinate are words often used to describe an untrained Eskie. Harsh training techniques are inappropriate for American Eskimo Dogs. 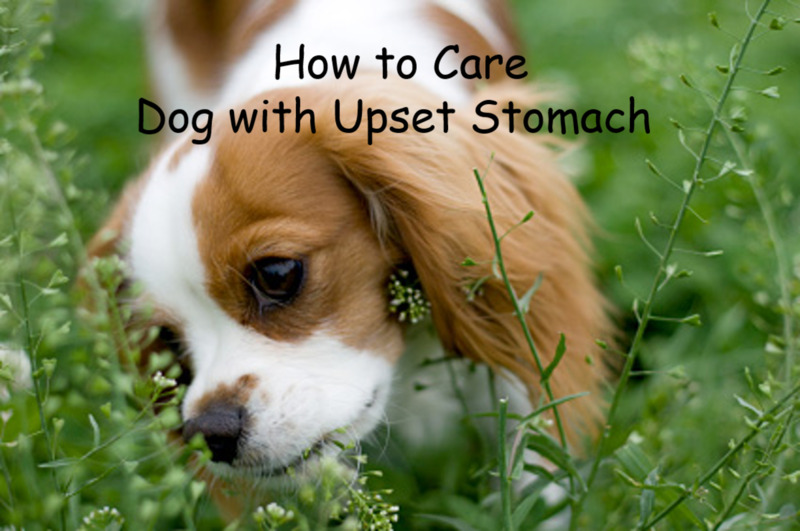 They respond much better to positive reinforcement training and attention. Eskies learn quickly, and because they are so eager to please you, they will respond to commands once they learn them. Ellen is looking for a new home! 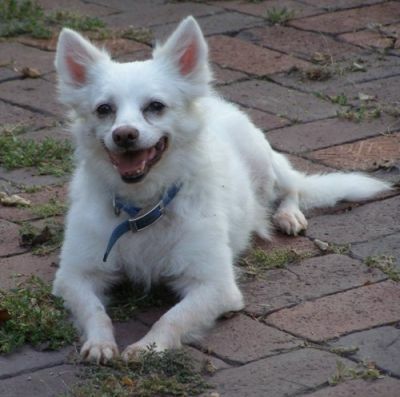 If you are thinking about bringing an Eskie into your home, consider adopting your new companion from Heart Bandits American Eskimo Dog Rescue, a dog rescue organization devoted to the American Eskimo Dog (also known as White Spitz) . They have local chapters across the USA and Canada. 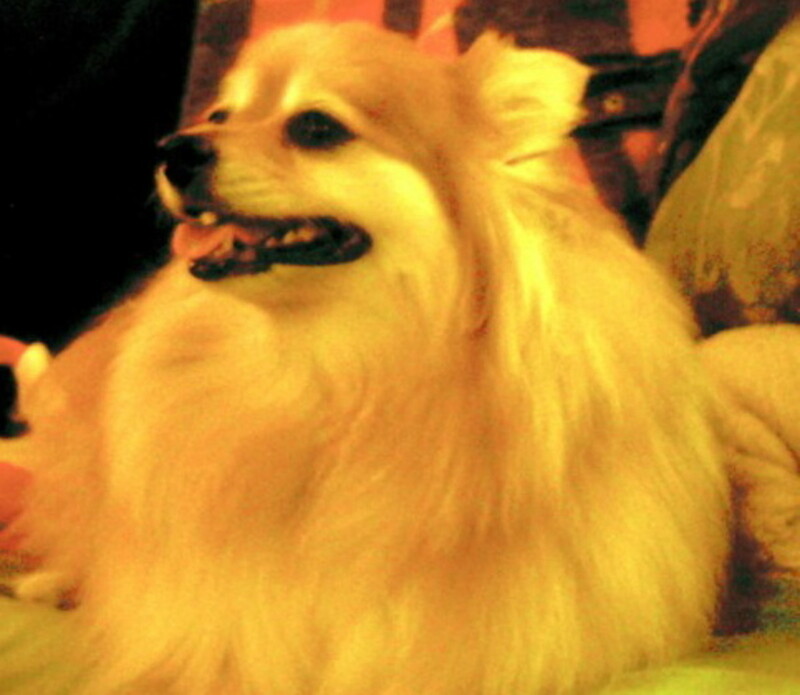 * they acquire American Eskimo Dogs from shelters, humane societies and from situations of neglect and/or cruelty. 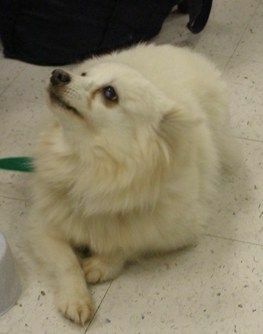 * they assist American Eskimo Dogs whose owners can no longer provide a home by finding them new, permanent and loving homes. * they are a nonprofit tax-exempt organization run by VOLUNTEERS. Chapter Directors, Foster Homes, Officers, and Trustees are all non-paid volunteers. Rescue efforts are managed out of volunteers own homes and are juggled with paying jobs and family. New volunteers are always welcome. Have You Adopted A Rescue Dog? "The Eskie Railroad is a network of people around North America who have volunteered to transport Eskies relay fashion. Each volunteer transports an Eskie from 50 miles to 200 miles to the next volunteer who does the same. The Eskie Railroad provides a safe, low cost means of transporting an Eskie in need of a home to a home in need of an Eskie. Our Eskie Railroad Coordinator maintains a list of volunteers and assists in scheduling trips for an Eskie. When a transport is needed, volunteers along the proposed route are contacted about their availability to participate. You may have seen Heart Bandits Eskie Railroad featured on Animal Planet. "Pet Story", a half hour Animal Planet series, filmed a 1000 mile transport of 2 Eskies to their new adoptive home. The show is a fun and informative ride along the Eskie Railroad. Originally airing in June of 2000, the series reruns from time to time. Becoming a Conductor on the Railroad If you are interested in helping transport on the Eskie Railroad, you can volunteer online." Become a conductor on the Eskie Railroad. Fiona is looking for a new home! is to be as good of a person as my dog already thinks I am. Do you live with an Eskie or planning to? @SteenBiilmann LM: Yes they are! I have lived with two past Eskies and am planning on getting another one this summer. Wonderful, wonderful dogs!! MY ESKIE IS ALMOST 11,SHE'S BEEN WITH US SINCE SHE WAS 8WKS,I ADORE HER.HER NAME IS DUSTY.SHE'S VERY SENSITIVE,ALERT AND SMART.SHE LOVES TO GO EVERYWHERE WITH US,SHE HAS TRAVELED TO MANY PLACES IN OUR RV TOO.